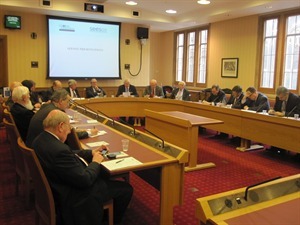 GSF were delighted to co-host a seminar on South East Europe and the EU with SEESOX (South East European Studies at Oxford) in the House of Lords on Tuesday 19th March 2013. 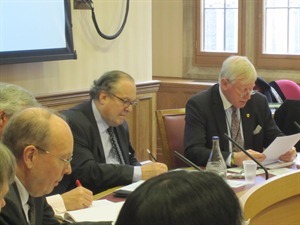 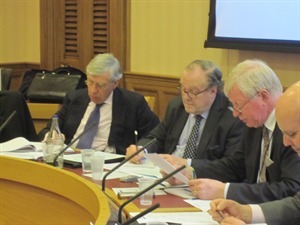 The seminar was co-chaired by Lord Lothian, Chairman of Global Strategy Forum and the Rt Hon Jack Straw MP, Home Secretary (1997-2001); Foreign Secretary (2001-2006); Justice Secretary (2007-2010). 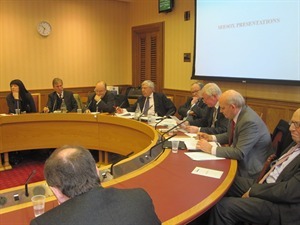 The speakers were as follows: Sir David Madden KCMG, Chairman of SEESOX Development Committee and Senior Member, St Antony’s College, Oxford; Jonathan Scheele, European Studies Centre Visiting Fellow, St Antony’s College, Oxford; Max Watson, Director of Financial Markets Programme, St Antony’s College, Oxford. 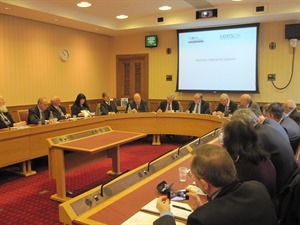 The event was attended by members of the House of Lords and the House of Commons and by a number of Ambassadors from South East Europe.